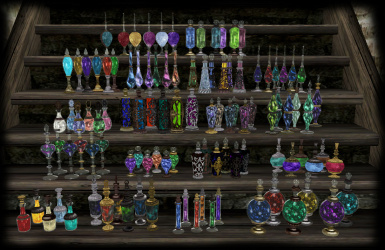 This mod replaces the generic bottles used for potions. 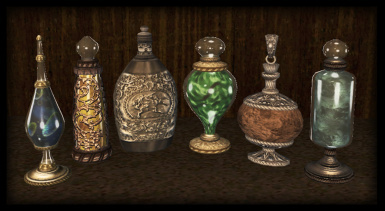 A second zip file , Alluring Wine Bottles.zip, is included in the download. 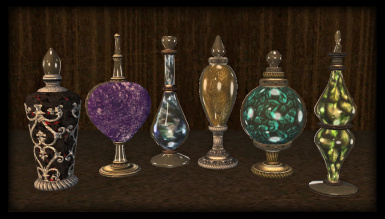 It replaces the ale, beer, mead, skooma, and wine bottles. 1.0, 2010/08/23 - Initial release. 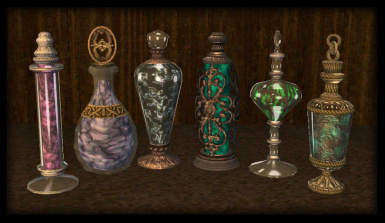 You may use these bottles anyway you would like, just don't claim them as your own.